When the editors at Architectural West magazine decided to focus in on privacy windows in a special feature, they came to the experts for advice --- Hy-Lite Products. 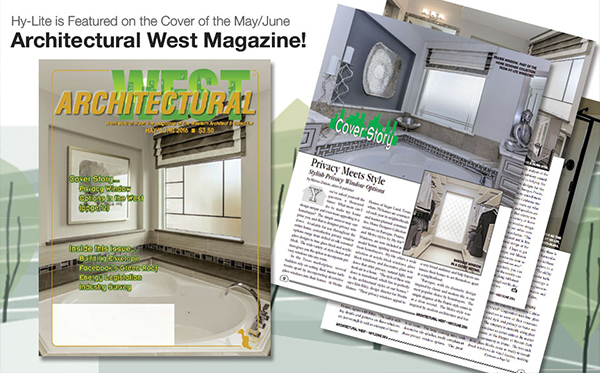 The cover story of the May/June 2016 issue of Architectural West is all about adding stylish privacy window options to the home. Check out the story (which features insights from our friends at Westin Homes, Gehan Homes and KB Home) HERE.